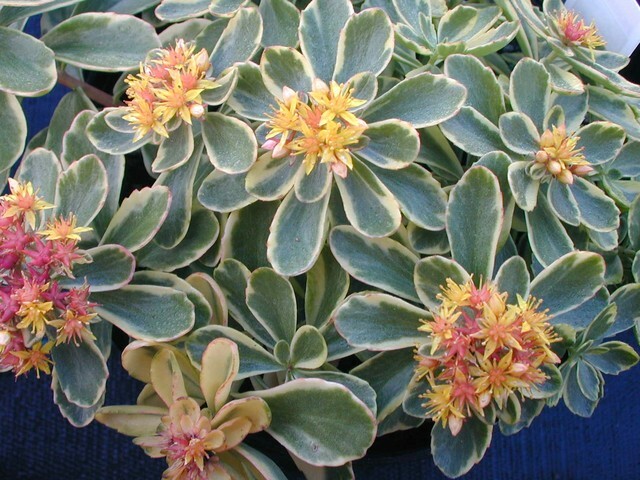 This is compact growing form that has fairly large leaves that have cream colored variegation on the margins that takes on a hint of pink in the full sun. The yellow flowers and pink to orange-red carpels appear on plants at the same time giving this a truly 'tricolor' appearance. Deciduous.